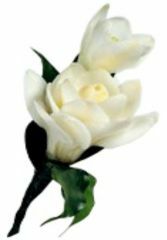 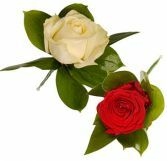 Flowers: Grand Prix Rose White Avalanche Rose, Foliage: Hard Ruscus. 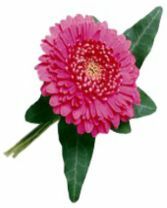 Flowers: Pink Aqua Rose, Pink Waxflower, Foliage: Eucalytus, Small Pitto, Soft Ruscus. 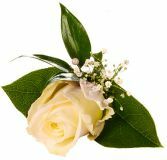 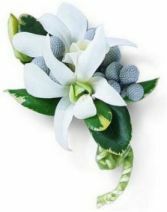 Flowers: White Avalanche Rose, Babys Breath, Foliage: Soft Ruscus, Salal. 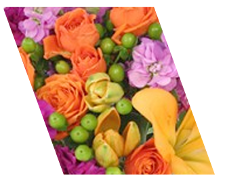 Flowers: Orange Calla Lily, Yellow Rose, Orange Alstroemeria, Foliage: Hard Ruscus, Steel Grass. 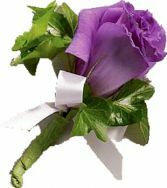 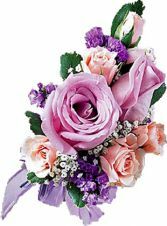 Lavender Roses Blend With Sweet Pink Spray Roses In This Captivating Corsage A Delicate Duo Appropriate For Any Celebration. 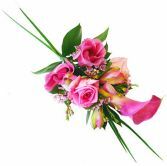 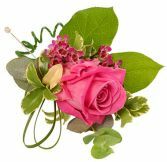 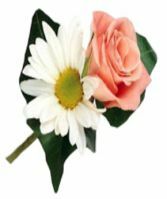 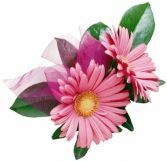 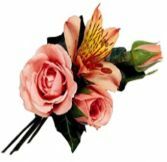 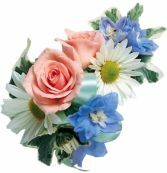 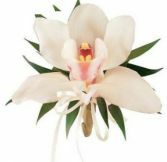 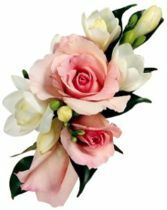 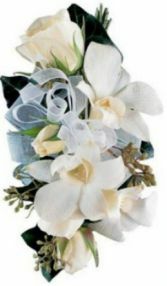 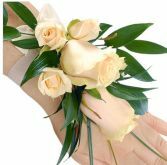 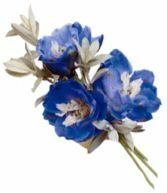 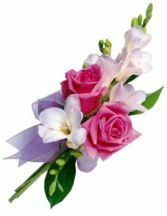 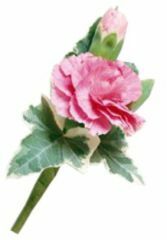 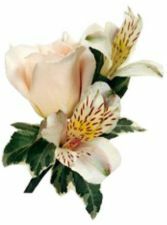 Flowers: Pink Aqua Rose, Pink Calla Lily, Pink Lisianthus, Pink Alstroemeria, Pink Waxflower, Foliage: Hard Ruscus, Steel Grass, Wristband: Nylon.